Thosaigh foireann sacar sa scoil i mbliana agus chríochnaigh siad ar bharr sraith 5 i mBaile Átha Cliath agus bhuaigh siad na cluichí ceathrú agus leath cheannais ach.....faraor níor éirigh leo an bua a fháil sa chluiche ceannais in aghaidh Scoil Mhuire, ar an lá ach bhain siad éacht amach i mbliana. The school finished top of the Division 5 table in the FAI's Dublin League but unfortunately after progressing through the quarter and semi final stages, they were beaten in the final by Scoil Mhuire. Is féidir le cailíní agus buachaillí ó Rang 4-6 páirt a ghlacadh sna Ranganna Sacar tar éis am scoile.Is iad Múinteoir Richard, Alan agus Alison na traenálaí.Táimid buíoch don F.A.I. don chúnamh a chuireann siad ar fáil dúinn chomh maith. Táimid an-bhuíoch as Celsius as na geansaí sacar. 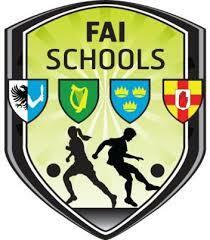 Boys and Girls from Fourth to Sixth Classes have an opportunity to develop their Soccer skills after school.They participate in the FAI school league and Spar 5 a side each year. We are also very thankful of Celsius for sponsoring our Soccer Jerseys. ﻿Since our formation in 2004 Celsius Mechanical Limited has become one of the fastest growing service providers in the construction industry. Celsius Mechanical are mechanical contractors, electrical contractors and building contractors who work in Ireland on a variety of different projects for many clients in the construction industry. We pride ourselves in exceeding our clients expectations and continually delivering projects on time, within budget and to the highest quality standards. Football in primary schools has been played for many years but it's only in recent years that it has begun to develop rapidly. While there is now football at primary level in each of the 26 counties, there remains major scope for development and expansion.